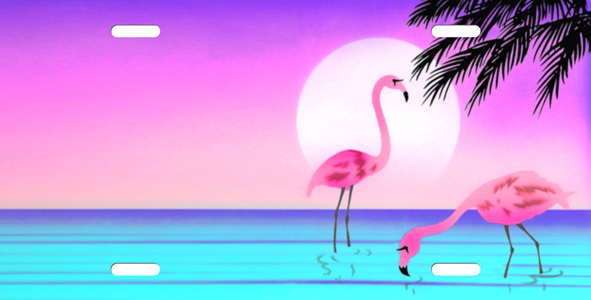 Air Brushed Flamingo License Plate . Flamingos are the national bird of the Bahamas. Add your own personal touch to this picturesque license plate. Put it on the front of your car and head for the sunset!